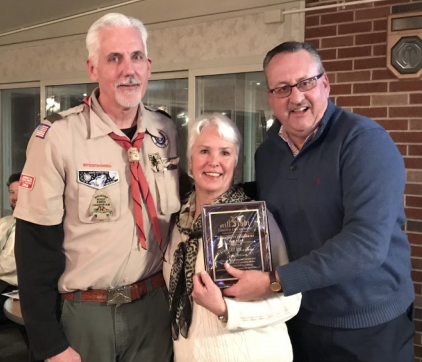 Chamber Vice President Jim Heberer (far right), presents Persons of the Year awards to Deb and Mark Germann. January’s Annual Dinner was a wonderful end to our 2017 chamber year. Mayor Mike Todd gave us an update of the Village and Chamber President Ashley Reeder celebrated a 24% increase in membership. 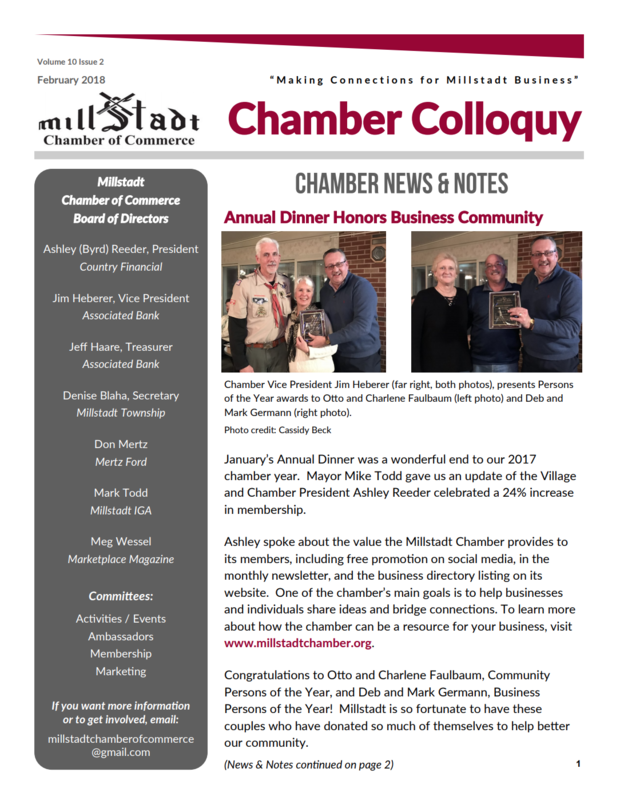 Ashley spoke about the value the Millstadt Chamber provides to its members, including free promotion on social media, in the monthly newsletter, and the business directory listing on its website. 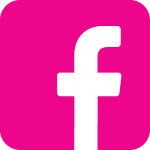 One of the chamber’s main goals is to help businesses and individuals share ideas and bridge connections. 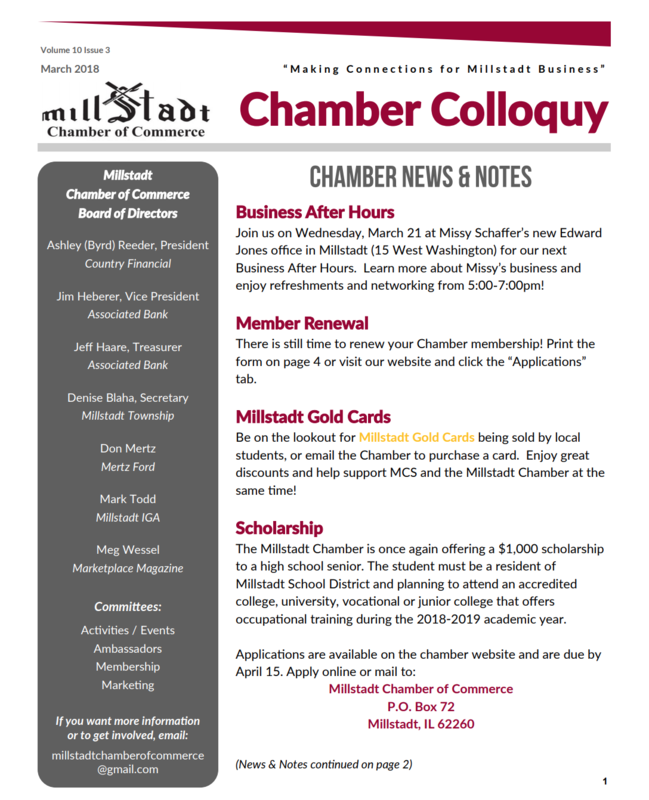 To learn more about how the chamber can be a resource for your business, visit www.millstadtchamber.org. 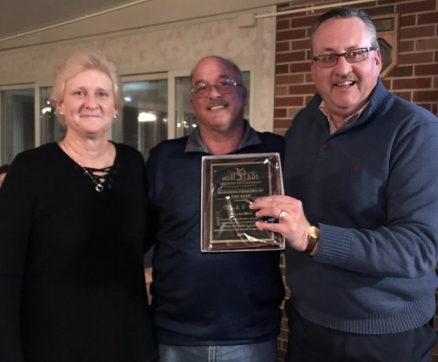 Congratulations to Otto and Charlene Faulbaum, Community Persons of the Year, and Deb and Mark Germann, Business Persons of the Year! Millstadt is so fortunate to have these couples who have donated so much of themselves to help better our community. This year, we also welcomed Meg Wessel to the chamber’s board of directors as Deb Germann retired from her role. Thanks to these outstanding women for their dedication to the chamber! Thank you to the Quail Club for helping us host and Smokin’ K’s for a delicious meal. We look forward to all that 2018 has to offer! The Chamber is seeking ads for the 2017-2018 Member Directory, which is mailed out to more than 3,200 homes and businesses. Ads are due by January 12, 2018. Person(s) of the Year—Deadline Extended! Do you know someone who goes above and beyond for the community of Millstadt? Nominate them for Business Person or Community Person of the Year! The Chamber is seeking applicants for these prestigious awards and wants to know who has made contributions towards the village. Nominations are due by January 12, 2018. The Chamber is seeking ads for the 2017-2018 Member Directory, which is mailed out to more than 3,200 homes and businesses. Ads are due by January 12, 2018. See page 5 for more details.